Time – Time includes the Sabbath which is a 24 hour period from sundown Friday evening to sundown on Sabbath evening. Time also includes every 24 hour day and what we do with those 24 hours each day. How much of our time is spent with God and doing God’s work? Talent – In God’s eyes, he sees us as God’s people, holy to the Lord. 1Corinthians12 states that there are different kinds of gifts (talents) given through the Holy Spirit. How are our talents used? Treasure– Tithe supports God’s workers around the world showing trust in God; offerings support God’s work locally showing love for God. Matthew 6:10 warns about storing up treasures on earth, and lists the benefits of storing up treasures in heaven. “Where your treasure is there your heart will be also.” How much of our treasure is on earth instead of in heaven? 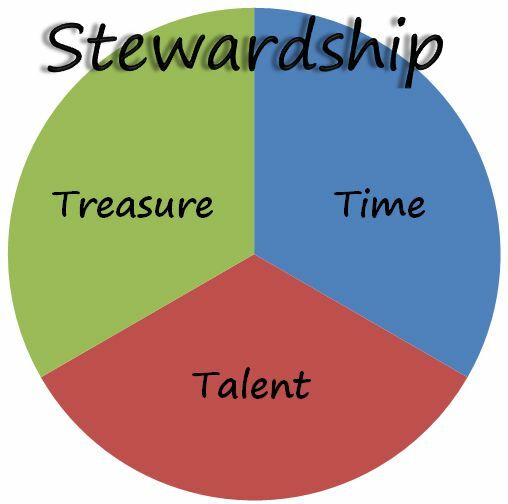 Every letter that makes up the word Stewardship has special meaning regarding being a good steward. Each letter will be further analyzed one by one in the weeks to come.